Recently, a priest friend shared with me that some of his siblings have left the Church. Father was raised by devout, Catholic parents and is a gentle, humble man, clearly in love with God, and he himself is loved by many. So, why can’t he open the eyes of his siblings? And why can’t the other priests I know in this situation do the same? There are also people on fire for the faith heading up influential Catholic organizations evangelizing others, yet they have family members that have left the Church. I said to the priest friend, that while parents are frustrated that they cannot get through to their children, in reality, many priests also have the same problem with family members. 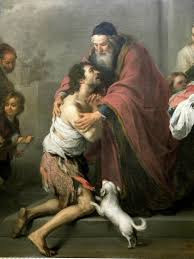 He shrugged and said, “Even Jesus said that a prophet is not welcomed in his own home,” (Luke 4:24). The crowd was not impressed. Someone asked, “Isn’t this Joseph’s son?” Jesus then reminded them of Old Testament stories where prophets were not able to work wonders in their own homeland. Instead of taking heed, this only angered the crowd who drove him out of town. They had actually wanted to throw him off the cliff. Imagine that! They wanted to kill Jesus, the Word Made Flesh and Savior of the world, after he failed to get through to his fellow kinsmen. The founder of a very successful and influential Catholic organization I interviewed recently, also unable to influence family members, noted that those close to us typically don’t imagine that they will be enlightened by us. They already think they have enlightened themselves by moving away from the Church and think we have nothing new to offer them. Every Catholic priest regularly encounters distressed parents who ask: My child has left the Church, what should I do? Why are my prayers for them not answered? 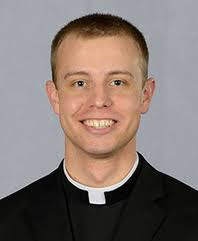 A priest in the Bismarck, North Dakota diocese, Fr. Thomas Grafsgaard, made these questions the topic of a past retreat. “It’s a common theme in families,” he said. “Parents are worried that their kids are not going to church and their grandkids are not getting baptized.” Although the situations differ, from family to family, he said, the concern and worry is the same. Father Tom made seven suggestions for parents whose children have rejected the faith. 1. Keep praying. Just as St. Monica never stopped praying and having faith in her son Augustine’s conversion, so too must we persevere. 3. Make daily sacrifices. “There are countless windows of opportunities to offer up hidden sacrifices for conversions,” said Fr. Tom. Examples he gave included leaving cream out of your coffee, turning off the television and using the time to volunteer. 7. Pray and trust that God can reach them on their journey. There are many roads that can lead to God. Never doubt that God can meet them on theirs. After years of praying for conversions or for other crosses to be lifted, we are tempted to become frustrated or even lose faith. Addressing the question of why God seems absent during our prayers, Father Tom turned to Mary, the Blessed Mother. If we look to her example, we can understand suffering better, he explained. “Just as Jesus accepted Thy will,not my will, so too did Mary,” he said. “While her son was crucified, Mary did not run and hide like Eve did. She stood there and trusted that God knew what he was doing.” Likewise, he said that when our son or daughter goes astray, we pray to God but then must trust that God loves them more than we do. His plan is better than ours. ~~~~~~~~~~~For more inspiration check out Holy Hacks: Everyday Ways to Live Your Faith & Get to Heavenand the Amazing Grace Series. Follow Patti at Twitter and Pinterest, like her pages at Holy Hacks, Dear God Books, Big Hearted Families, Catholic News & Inspiration on Facebook, and her author Facebook page. Sign up at the right column to receive articles in your inbox. God bless you! How Can Anyone be Surprised Church is Prolife?